Visit this fertile green plateau in the middle of the Dicti Mountains which was once peppered with thousands of white-sailed windmills. On the mountain road the pretty nunnery of Kera Kardiotissa is home to a famous icon of the Holy Mother as well as to frescoes from the 13th and 14th century. Driving south and up to the mountains, we reach the Plateau of Lassithi which may have been the crater of an ancient volcano. A short climb will bring you to a very special place in Greek mythology, the Dicti Cave, where Zeus, the father of all Greek gods, was born. The cave is also famous for its impressive stalactites and stalagmites. We make a short stop for a visit to a traditional potter’s factory to see this ancient ceramic art which is still alive today. You will see the artist at work and you can even try, with his help of course, to make your own pottery! The village of Tzermiado will be our stop for lunch and we will eat at one of the local tavernas. The Plateau is a wonderfully cool and fertile area, with friendly people and a very warm welcome. 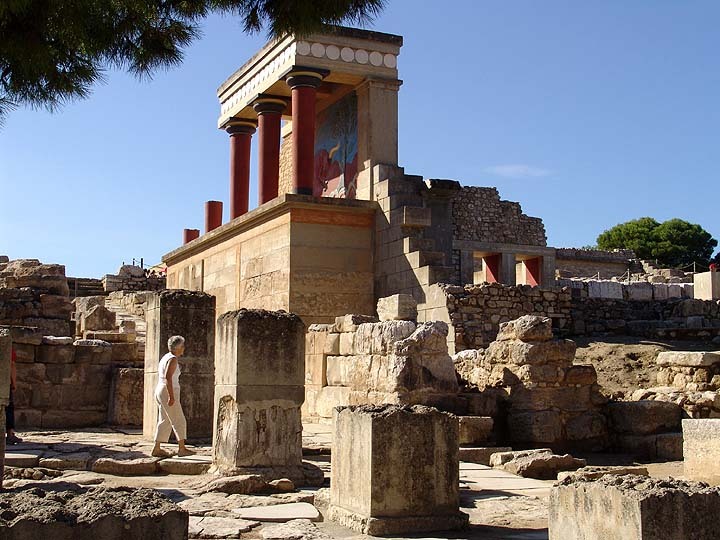 The Dynasty of King Minos ruled here and it become the prosperous capital of Minoan Crete. It was multi-storey and had an intricate plan, which is why the Palace is connected with thrilling legends, such as the myth of the labyrinth and the Minotaur. It was discovered in 1878 and was excavated by Sir Arthur Evans who revealed the most civilized area in Europe! A day that combines the myth of Greek Gods, the Minoan civilization, the Byzantine period and modern life and culture in only one tour. *Appropriate dress when entering churches and monasteries. *A light jacket is necessary as Lassithi is always cool.